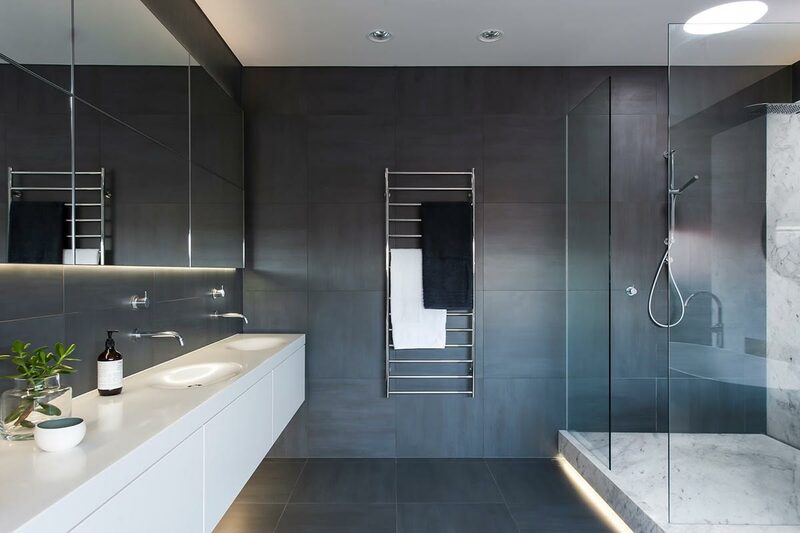 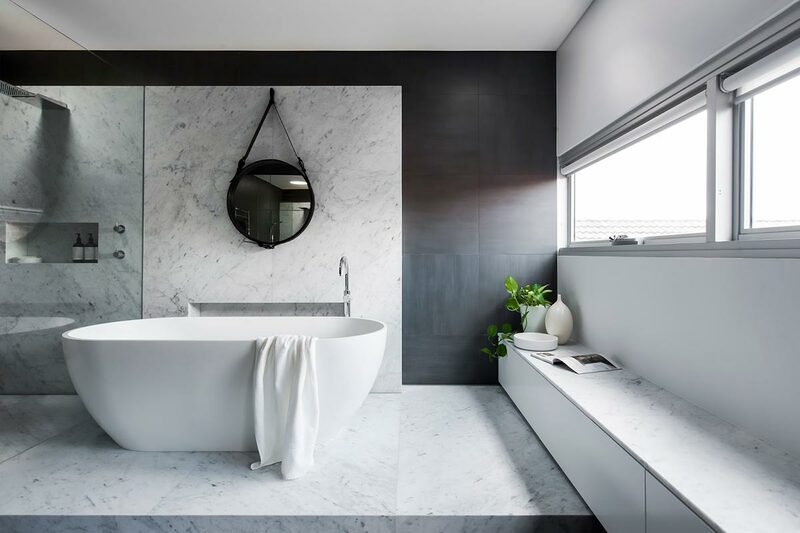 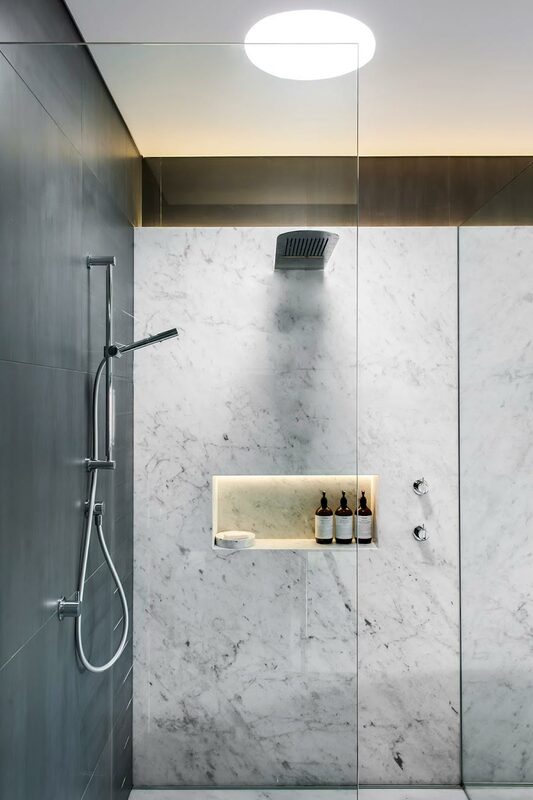 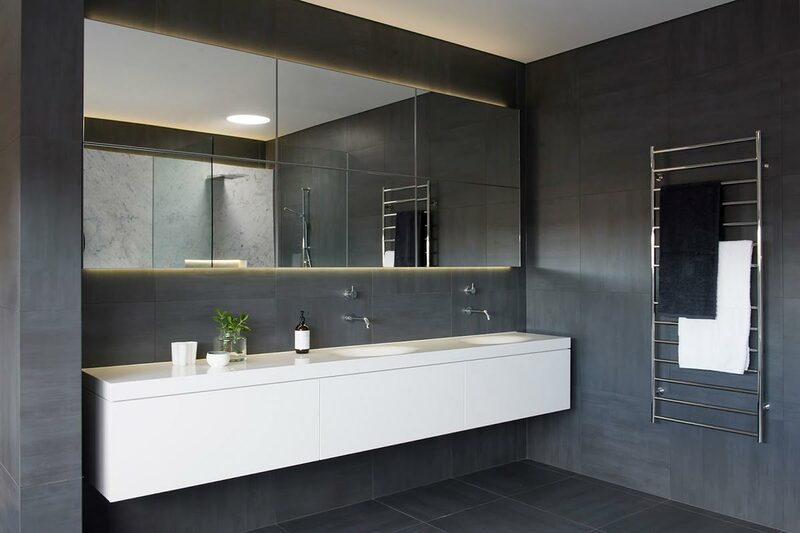 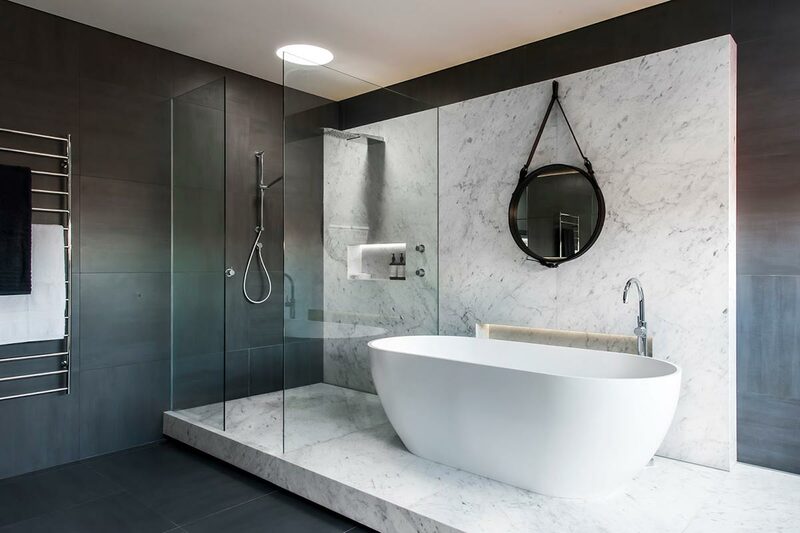 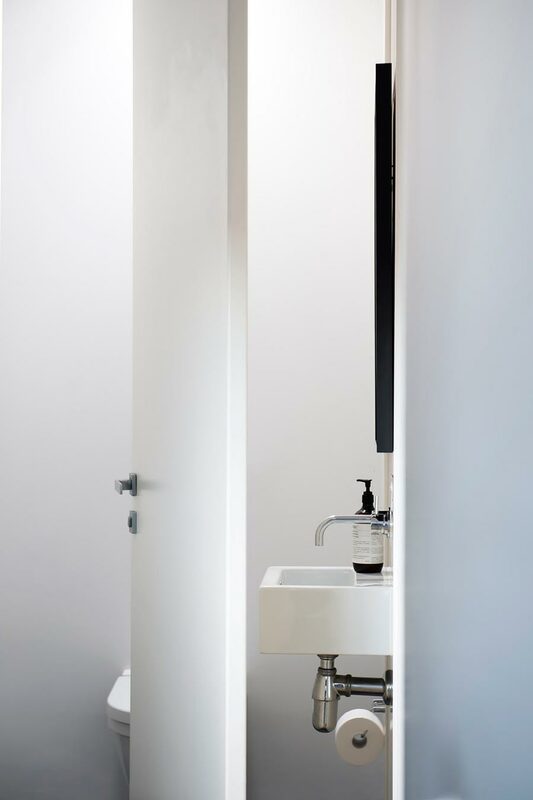 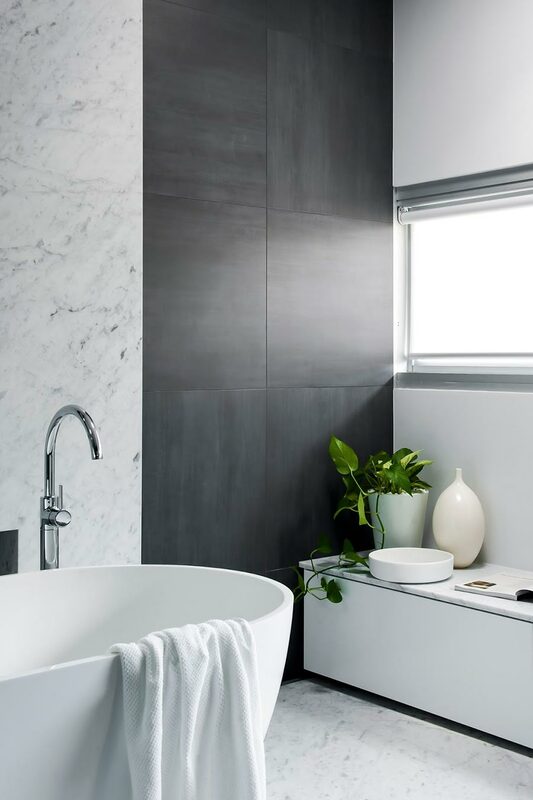 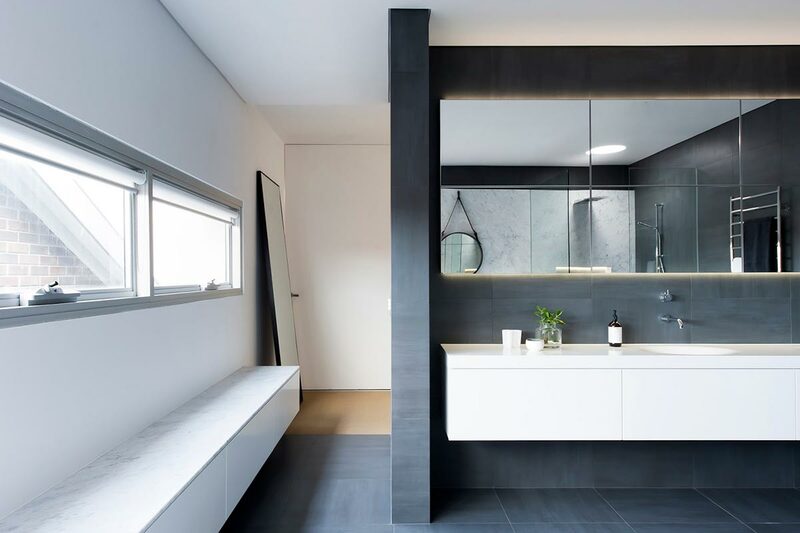 Interior design company Minosa Design unsurprisingly has won Australia’s annual Bathroom Design and Bathroom of the Year awards with this stunning monochromatic bathroom. 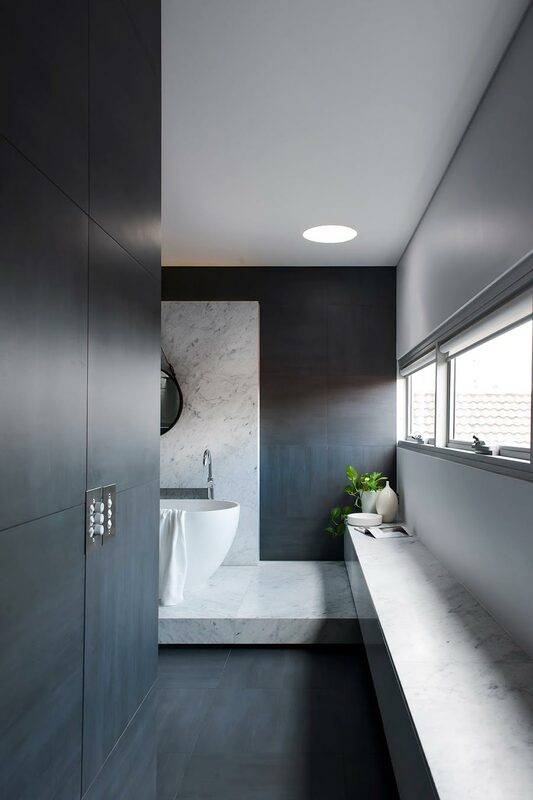 The client’s house, a traditional, four bedroom freestanding Californian Bungalow house, is situated in Sydney’s beachside suburb of Coogee. 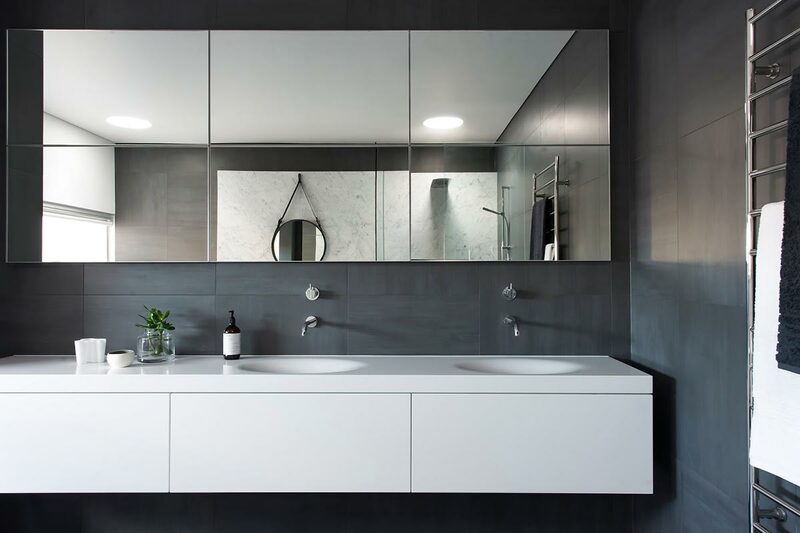 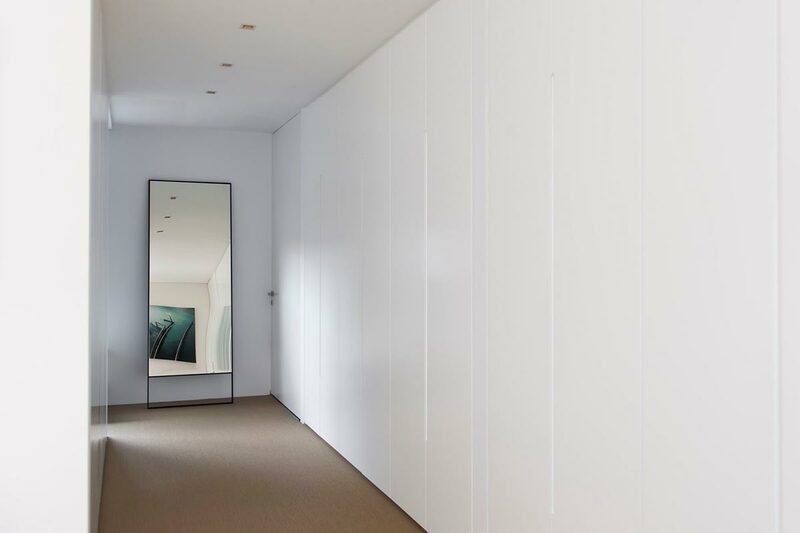 According to briefs, the clients were looking for a sharp and edgy design, featuring a monochromatic colour palette, ambient lighting and natural materials as a feature and lots of storage. 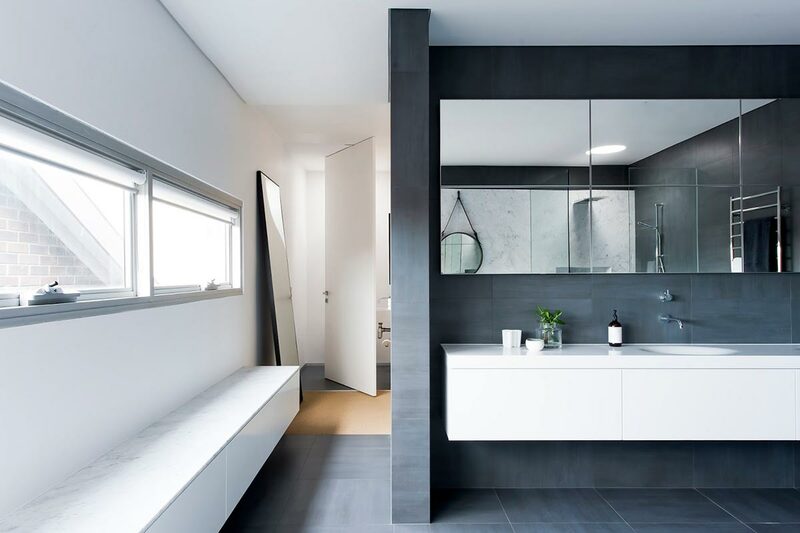 Minosa Design’s execution of these requirements is truly superb. 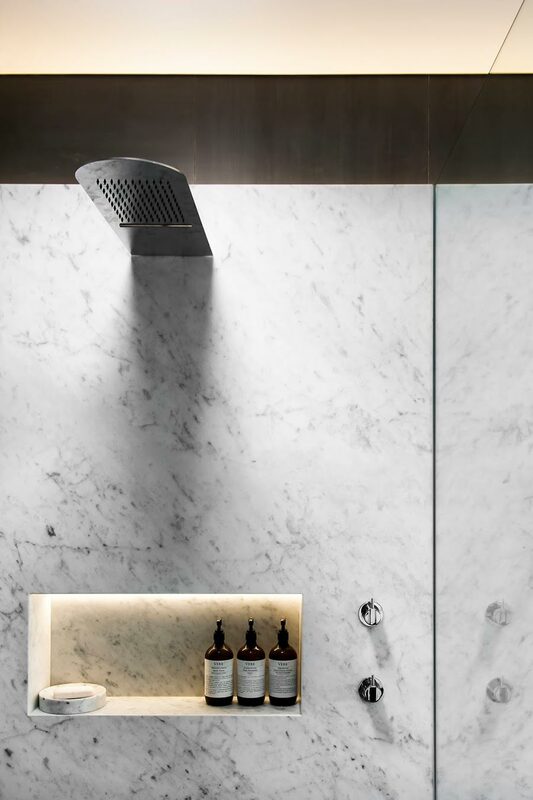 The bathroom features a walk-in shower and a free standing bathtub, situated on a raised platform clad with marble. 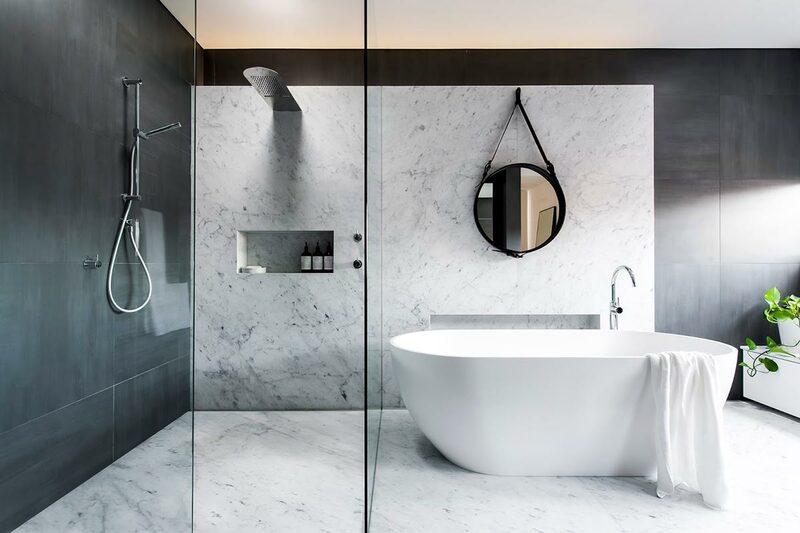 While natural materials like Carrara Marble and two-round sky tubes help warming the space up and bathe it with more natural light, ambient and indirect lights in the niches and under the step and vanity unit add depth to the darker spots, making the space feel larger.